This little Quadcopter is awesome! Very very easy to fly. Even hovers! My little boy is super excited about this, it's his favorite toy! He likes how he can use my phone to watch what the camera sees! If you hook it up with your smartphone, you can see what the camera is seeing while you fly. Smartphone is not required though, as it flies just fine with the regular remote. I do enjoy the extra features the phone interface provides, and seeing what you film as you capture it is great. The video includes a 6-1/2 minute detailed review of this quad including unboxing and a couple of flights. 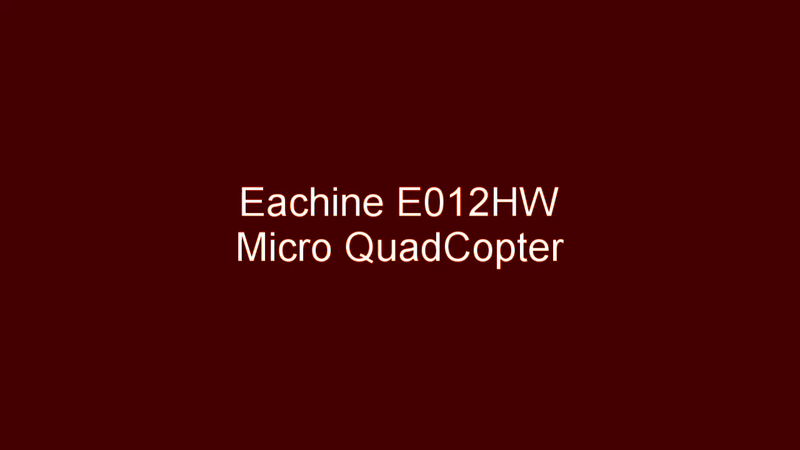 Overall this is a great little quad, I really enjoy flying both inside and out, but be careful outside as it is small and does fight the wind. If you have goggles you can FPV fly this quad pretty well, very fun to do inside. The ducted props provide both lift and protection and this little quad can take a beating if you crash it. Just be careful with the battery connector when installing and removing the battery. This mini drone is so cute perfect for tiny hands! My 5year Old loves it and he loves playing with his dad and his big drone it’s perfect !